At the Platinum level, Affinity Partners provide the highest degree of customer service and product quality. KCMBA’s Platinum Partners endure scrutiny by staff, Executive Committee and Board of Directors to ensure members are presented with reputable companies and valuable services at a fair price. For this reason, they receive the endorsement as KCMBA’s ‘Official’ provider of their category of goods or services. “Alaris is known for its high level of service and attention to clients and for its innovative services. 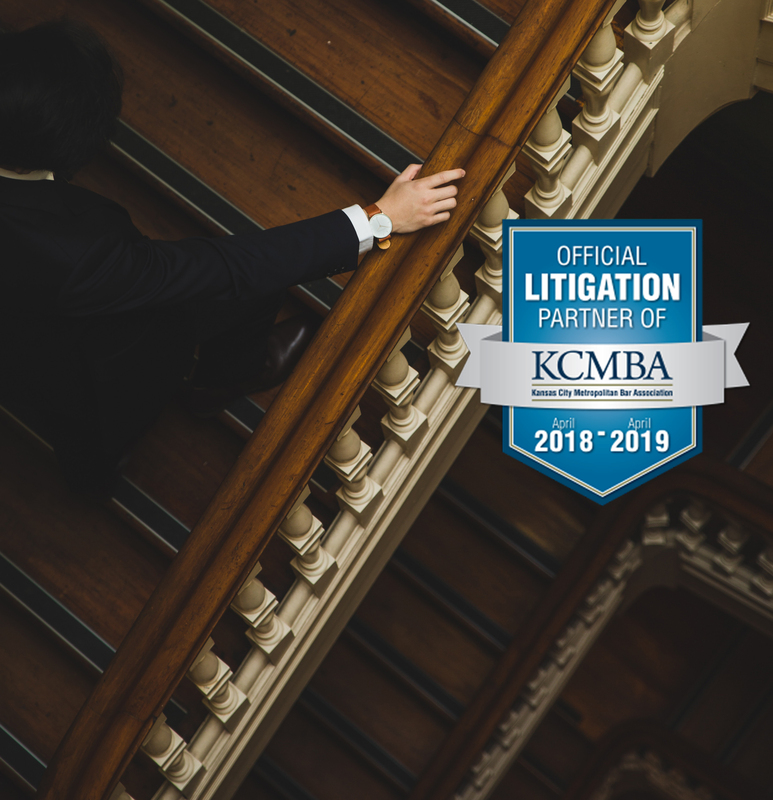 They are a perennial supporter of KCMBA and the legal community, and KCMBA is proud to continue its exclusive partnership with the company,” said Vickie Mauck, executive director of KCMBA. Formerly known as Midwest Litigation Services and Midwest Trial Services, Alaris provides a wide range of litigation-related services for over 30 years. Alaris is dedicated to working with law firms, corporations and government agencies to meet all of their litigation needs nationally and globally. With eleven regional offices, including Kansas City and its headquarters in St. Louis, and over 250 nationwide affiliate partners, Alaris provides court reporting and transcription services, video conferencing, comprehensive litigation support and advanced trial and technology services across the globe. Kansas City Metropolitan Bar Association serves approximately 5,000 members in the nine-county Kansas City metro area: Johnson and Wyandotte counties in Kansas and Cass, Clay, Jackson, Johnson, Lafayette, Platte and Ray counties in Missouri. The mission of this Association is to serve our members and our community by promoting justice, professional excellence and respect for the law.